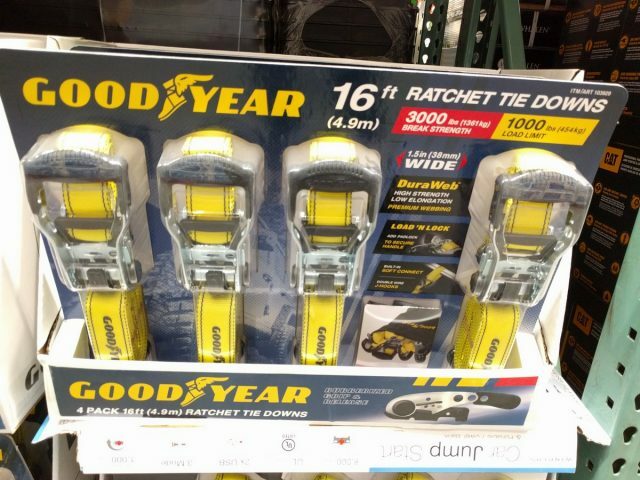 Secure cargo in the back or roof of your trailer, truck, van, or SUV with the Goodyear Ratchet Tie Downs. 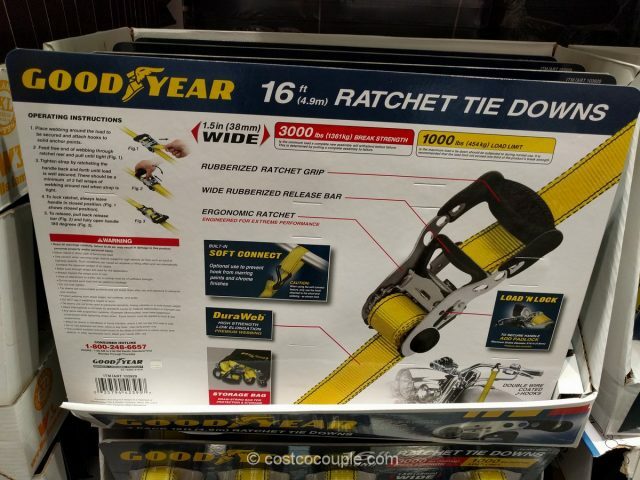 The set includes four 16-foot ratchet tie downs with 1000 lbs load limit and 3000 lbs break strength. 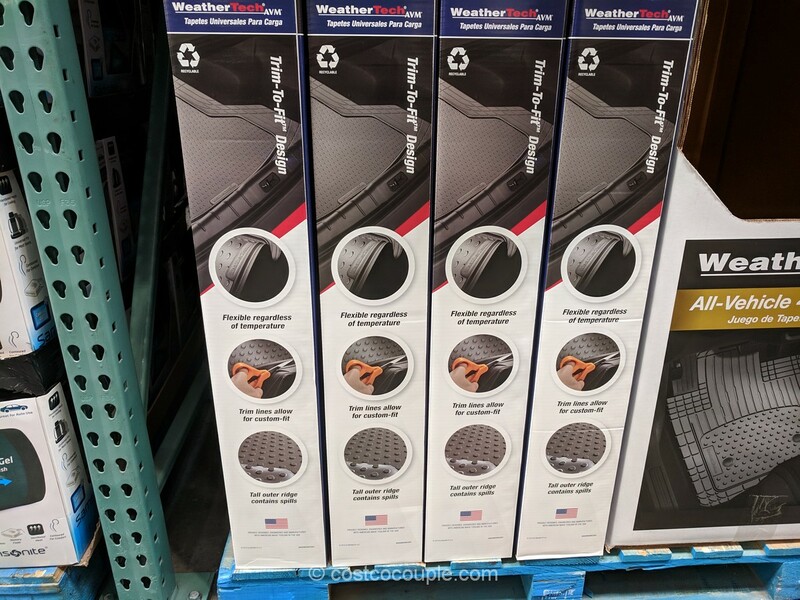 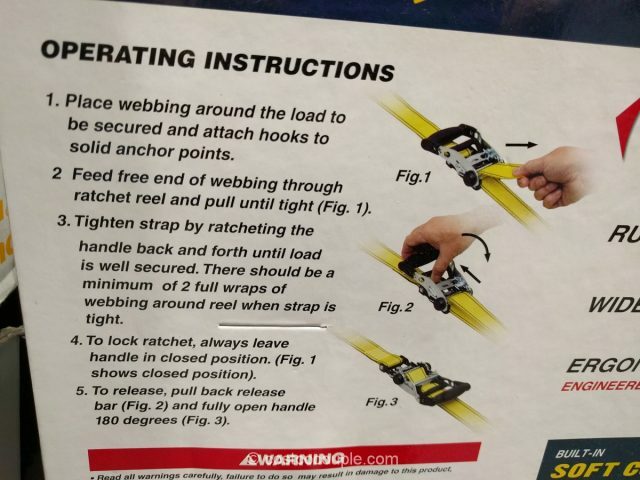 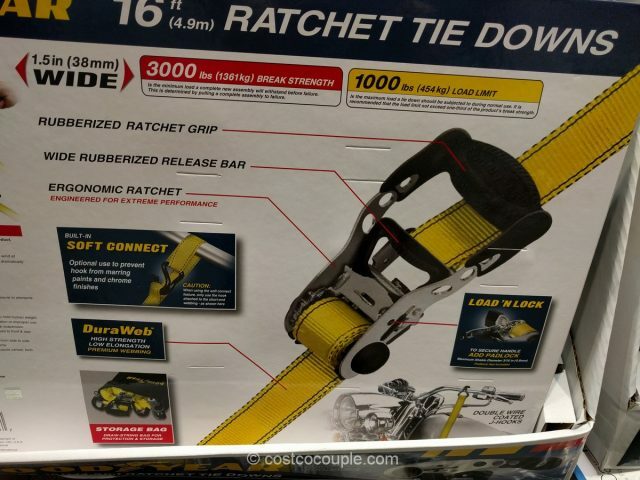 Each tie down has a rubberized ratchet grip, wide rubberized release bar, built-in soft connect with double wire J-hooks and 1.5″ wide DuraWeb premium webbing. 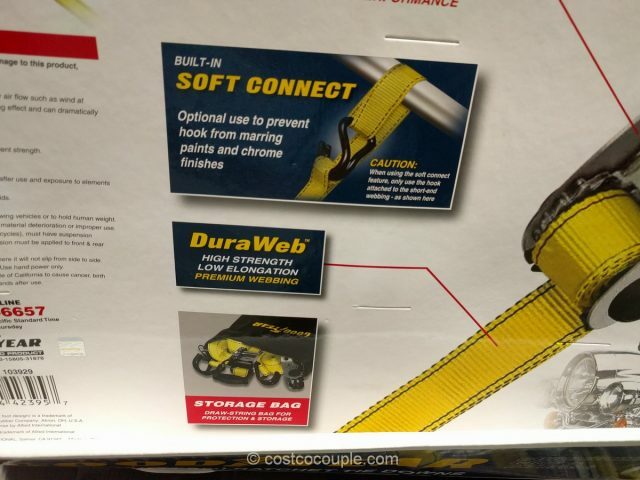 A draw-string storage bag is included. 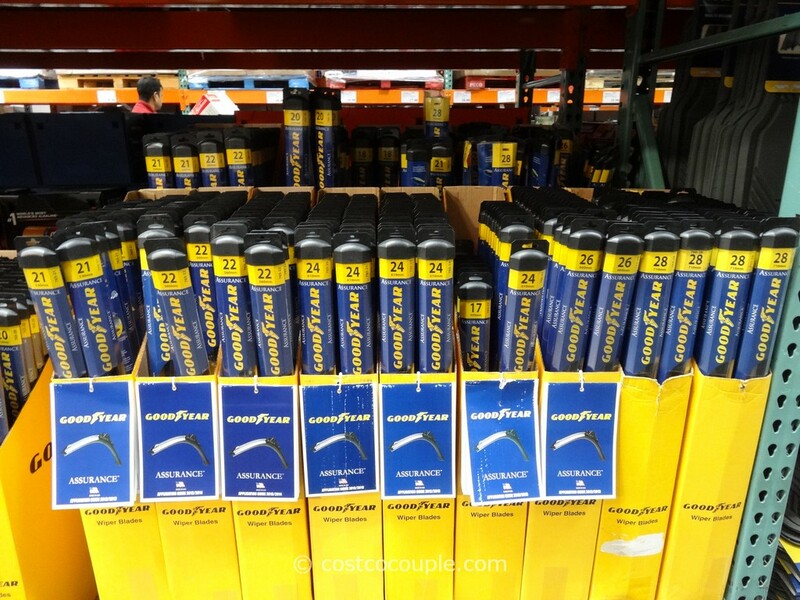 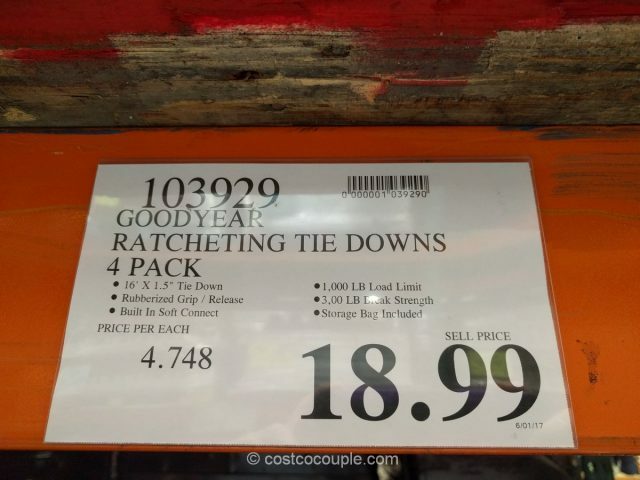 The Goodyear Ratchet Tie Downs are priced at $18.99.